Affiliate marketing is one of the most lucrative methods of making money online. It’s not uncommon to see stories of people making 6 or 7-figures with this method. You don’t need your own product to sell – this means no in-house inventory, no shipping hassles, no customer service, etc. You are in control of how much money you can make with affiliate marketing. The more work you put into it, the more lucrative it’ll become. You can work from the comfort of your home if it turns into a full-time income. It’s passive income, meaning you can earn money in your sleep. You do have to do some initial work, but after that any sales you make result in passive income. In a nutshell, affiliate marketing is where you promote other people’s products, by writing about them on your website or advertising them on social media, for example. As an affiliate marketer, you’ll get a special link for every product you promote. You can put these links in product reviews, on social media sites, forums, comment threads, wherever. When someone purchases a product after clicking through your link, you will get a percentage of the sale. Suppose Bonny is looking for a 3D printer for her project. She wants to make sure she gets one with good reviews, so she heads on over to Google and searches for 3D printer reviews. Now, your site comes up for her search since you have a website where you review different models of 3D printers. Bonny visits your site and reads several reviews, and from there decides to buy a certain one. She sees that you said that Amazon is the cheapest place to buy, so she clicks the “Buy now” link which takes her to that 3D printer on Amazon. From there, she completes the check-out process and her 3D printer arrives several days later. So, how did you make money with this? Well, Amazon tracked where the buyer came from. When Bonny clicked the “Buy now” button, Amazon knew that she came via your website. When she made her purchase, Amazon gave you a small cut of the sale as a “thank you” for sending more business their way. If Bonny bought a $3,000 3D printer, you would get $240 since Amazon gives their affiliates (you) 8% of the sale price (some categories only give you 1%, while others give you up to 10%). Now imagine if you had several sales like this happen every day. See what I’m getting at? That would be a full-time passive income that requires very little work on your part, aside from writing the product reviews or simply promoting them to your social media following. Unfortunately, affiliate marketing isn’t as easy as it may sound. While the concept is rather easy to grasp and you could technically start promoting products to your social media following today, it takes a lot of convincing before people will randomly start buying things you “know they’ll like”. I would suggest building your own affiliate website rather than trying it only on social media (unless you have a huge, targeted following). The reason behind having your own affiliate website is simple: people will find your site when they are in need of information and opinions – much like Bonny in the example above. These people are already in the purchasing phase, and are therefore much more likely to make a purchase through your link. However, even having your own website isn’t as simple as it sounds. Yes, complete beginners can build websites in under a minute these days, and yes, it is a very simple process. However, before anyone will find your site through a Google search, you have to make sure that Google trusts your site enough to show it in their search results. The best way to make Google show your website to the world is by writing quality content for it. In the online marketing world, there’s a well-known saying that “content is king”. Simply put, if you have lots of content (blogs, reviews, videos, etc), you’ll get lots of visitors because your site will be ranking well in Google’s search results. Meanwhile, if you just put up a couple salesy reviews every now and then, you can never expect to make any money through affiliate marketing. A good question to ask yourself is whether or not you would visit your site if you were looking to buy the product you’re promoting. Would you trust your own reviews? i.e., do you have a lot of quality content that helps a visitor to make an informed buying decision? If so, you can be sure that you’ll get good rankings in the various search engines, and therefore make a lot of money through affiliate marketing. The key takeaway from this should be that affiliate marketers are there to help and inform potential buyers, not to sell to them. You need people to trust your reviews before they’ll ever consider purchasing anything you promote. Does this Sound Like Something You’d Like to Try? If this sounds like an opportunity that’s too good to be true, the reality is that it’s a TON of work. Writing a lot of quality content all the time is hard. Don’t quote me on this, but I think I saw somewhere that only about 4% who try affiliate marketing actually earn a living from it. If you understand the realities associated with this and are willing to put in the effort it takes to succeed, you could very well become a full-time affiliate marketer. After all, it’s not that hard as it pretty much just consists of researching the products and then writing reviews or comparisons. So, if you think you have what it takes to be a successful affiliate marketer, I’d like to introduce you to some excellent affiliate marketing training that I use. It’s called Wealthy Affiliate, and it teaches you the exact process to affiliate marketing. Wealthy Affiliate has many step-by-step video and text-based lessons, which are very beginner-friendly. If it weren’t for Wealthy Affiliate, I probably would have given up affiliate marketing long ago. You can click here to join Wealthy Affiliate for free, or if you’d like to learn more about it before joining then feel free to read my complete review. I am not a native english. Hence, my knowledge about english seem low. How can you success on this online working ? Lots of non-native English speakers have success with affiliate marketing – just do it in your own language! There will actually be less competition that way, too. i was glad when i came across this site, well informed and ready to start but unable to sign-in, saying my country is not supported. i want to cry….please help me. What do i do? Certain countries are blocked due to high rates of spam (not my policy, so unfortunately there’s not much I can do for you). I believe you can join as a Premium member though if you’d like. So sorry! I am new in the field and want to setup my website and have plane to work with revglue.com as they are providing free tools and wordpress plugins and themes and I think these tools will be conformable for me as they look easy to use. If any one have experience with revglue.com? please share your opinion if any guy have experience with revglue.com. Anyway, I don’t have much to say in regards to RevGlue so I’ll let others chime in. There are so many pluses with affiliate marketing as you have pointed out here. I have tried multiple level marketing but wasn’t successful. However they had great motivatonal training but alas it wasn’t enought and I pulled away. 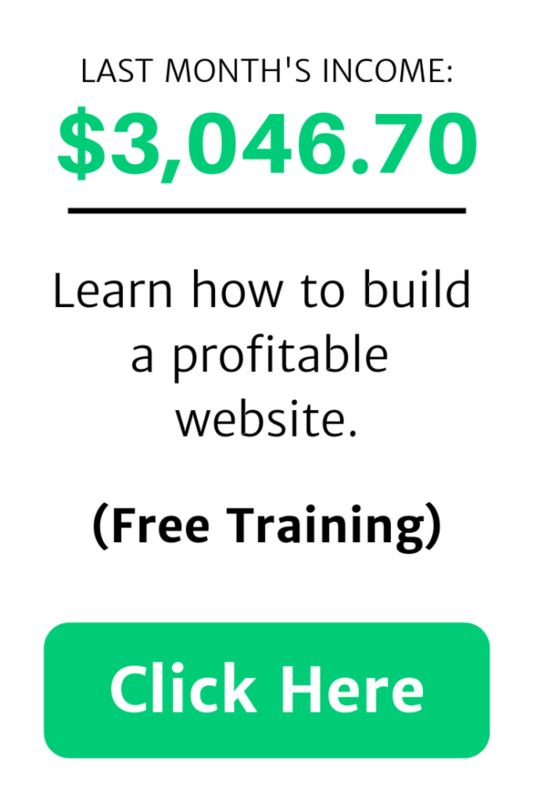 I’m new to affiliates but the training I’ve received from Wealthy Affiliate just in the last 2 months is absolutely amazing and now my website is earning revenue which is incredible. Thanks for a great read! I have heard a lot about multi-level marketing, and virtually none of it was any good. Sounds like you have to be a “people person” and know how to be an excellent salesman. It’s great to hear you’re earning revenue within just two months with affiliate marketing. Keep working hard, and just think where you’ll be a year from now!